Being the photographer of choice is one thing. Being the photographer of choice three times for the same building is something else altogether. Greg was asked to photograph Perry World House, the uniquely designed global policy research center on the campus of the University of Pennsylvania. Three different assignments. Three different clients. Three different opportunities to see one beautiful building in a whole new light. 38th Street façade. Here’s where great lighting and the perfect time of day change everything! 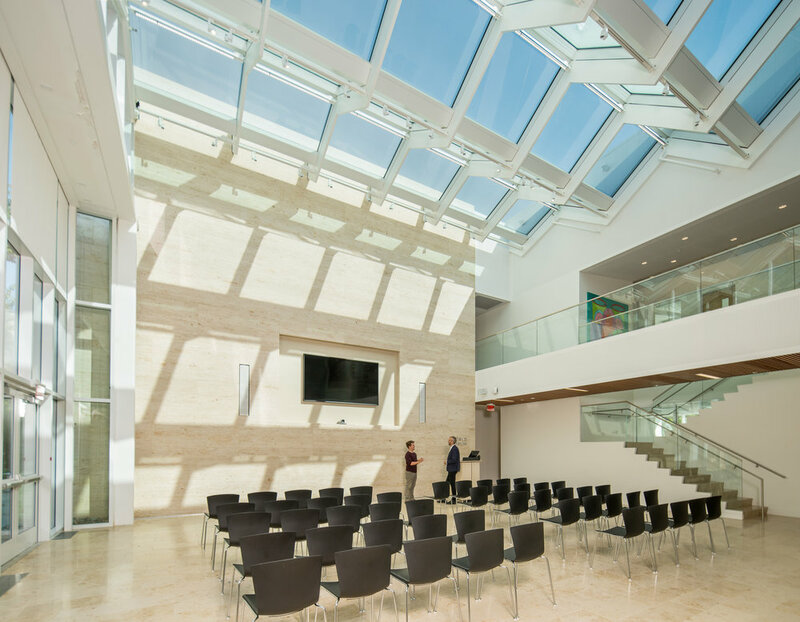 Global conference center or space age sun room? The building’s architects, 1100 Architect, required a multitude of exterior and interior views, seeing the building from all sides, at a range of distances, and in both daylight and at twilight. Greg’s work was instrumental in Perry World House being selected as one of “The 9 Best New University Buildings Around The World” by Architectural Digest. The original house (on the left) inspired the new structure’s composition (everywhere else). 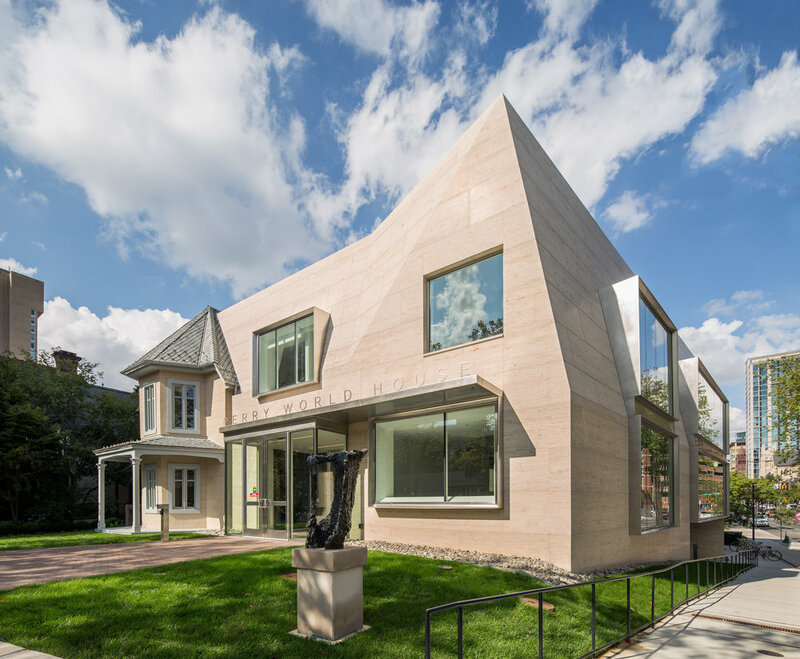 Penn’s Office of Development and Alumni Relations asked Greg to shoot images of the house to be used as mural-sized displays for “Our Penn” a traveling presentation highlighting new developments on campus. Here Greg focused on the building in use by a variety of students and organizations. Then Pennsylvania Gazette, the university’s alumni magazine, wanted Greg to capture the essence of the house, as well as photograph its director, William Burke-White. For this outing, he sought out more heroic images of the building, focusing on light and space, and less on the people using it.